Meet Corey. He’s just turned 8 months old and is absolutely gorgeous. Such a fab laugh and smile. I’ve photographed his Mummy and Daddy before (see their session here), and this time they brought Corey along for some family photos. 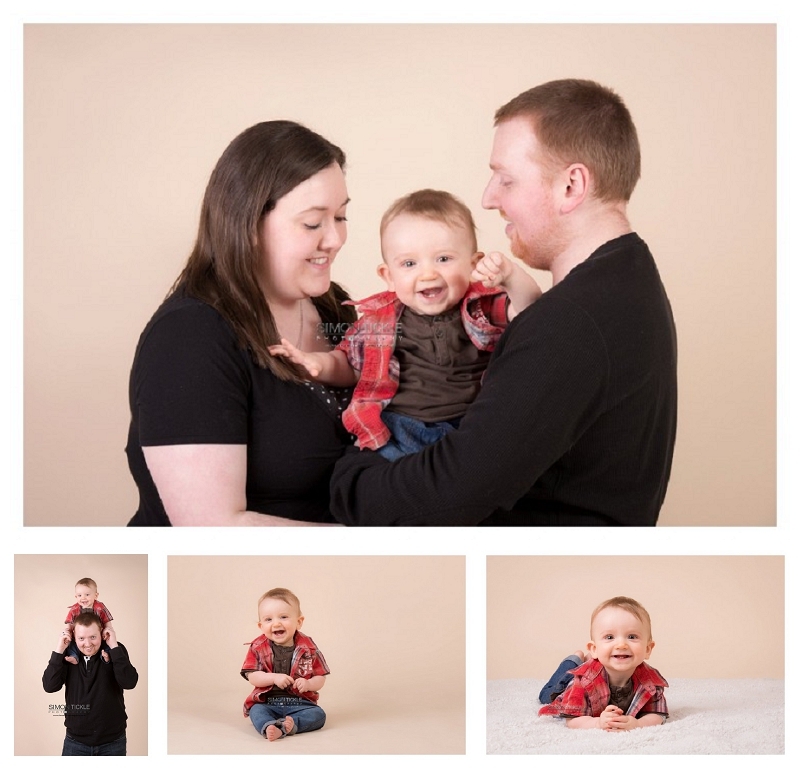 We started with some group poses to allow Corey time to get used to his surroundings (he loved the big lights) before capturing some portraits of Corey on his own. I’m sure Corey will be pleased with his finished portraits.